For many businesses, one of the most complex processes to try and succeed with is supply chain management. Supply chain management is an extensive concept covering all manner of business activities from product development right through to logistics. To help your organisation to improve its supply chain efficiency, it is essential to look to at the competition. By analysing what your competitors do, you can find techniques to take inspiration from and strategies that your business could also adopt. By implementing a successful supply chain strategy, you not only lower costs across the whole business but also welcome the opportunity for growth and future investment. By adopting a failing supply chain, you may see your company facing debt and struggling to remain a competitive contender in the field. Want to improve your supply chain capabilities? These are six supply chain examples that show the efficiency and effectiveness of a supply chain when it is managed correctly. For efficient supply chains, Amazon is the company that first comes to mind for many people. Amazon is one of the largest internet-based retailers in the world, with the headquarters in Seattle Washington, Amazon also currently operates from thirty other country-specific sites. However, Amazon has a global reach thanks to Amazon Global Selling. Amazon has an incredible supply chain which ships over 10 million different products, as well as operating a Marketplace system too. Their supply chain methods utilise the lowest levels of inventory possible yet with delivering with incredible speed. In some cases of Amazon Prime, deliveries can be with customers in under two hours. With high levels of efficiency and a shopping experience that is entirely customer-driven, it is what many eCommerce businesses strive for. In the future, Amazon continues to strive for customer satisfaction by developing Prime Air, a drone delivery system to get packages to customers in just thirty minutes from ordering. There are very few places in the world where Coca-Cola is not available. Keeping every aspect in-house, The Coca-Cola Company product, market and distribute their products across the globe. Despite being a globally recognised brand, Coca-Cola is not just a broad distribution strategy. Each area of the market is segmented to enable Coca-Cola to focus their appeal and marketing. The flavours and concentrations of the drinks change, as do the size and presentation of products. In fact, 95% of beverages are made in the country they are sold to maximise efficiency. Operating in over 200 countries, the logo is recognised by 94% of world’s population; Coca-Cola is an excellent example of how a supply chain does not just focus on logistics, it encompasses marketing, branding and advertising too. International clothing brand, Zara, is best known for its cutting-edge fashion but is less likely to be known as one of the best supply chain examples for its green credentials and commitment to waste management . 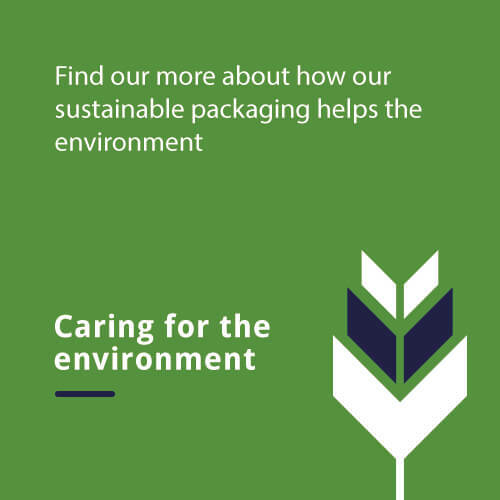 Their waste management strategy encompasses many aspects of the supply chain helping to minimise the impact on the environment while being as efficient and cost-effective as possible. In logistics, their vehicles use biodiesel while in production they focus on organic cotton and other environmentally friendly fabrics. The main commitment is through the production methods, where their innovative technology enables them to cut, measure and handle material as efficiently as possible to minimise wastage. By operating in 88 countries, their impressive environmental commitment for their supply chain is a testament to the brand and is perfect for the eco-conscious fashion buyer. Unilever is a consumer goods company that offers an extensive array of products. Despite producing a variety of products from food, cleaning agents, beauty and cosmetic items and beverages, it is impressive that one company can keep track of multiple supply chains in such an efficient manner. By focusing a five-year strategy on restructuring their supply chain management and bringing in a range of supply chain specialists, Unilever managed to find $14 billion in cost-saving initiatives. With the increased use of technology throughout their supply chain, Unilever is a leader in consumer supply chain management. Global technology manufacturing brand, Intel, is a business that focuses on market needs and demand supply. Using real-time analytics, Intel has become more competitive thanks to making instant decisions based on the real-time data. Using data for decision-making, Intel has managed to simplify their supply chains and use predictive analysis to manufacture on a ‘sense and respond’ basis. Thanks to their innovative supply chain optimisation strategy, the return on investment within five years is $208 million. When Colgate and Palmolive joined forces, it was imperative that their supply chain underwent extreme changes in order to be effective. With this, Colgate-Palmolive had to move from regional to global in terms of manufacturing and distribution. By simply fixing inefficiencies, Colgate-Palmolive has already realised $4 billion in savings. By investing in logistics, and removing silos, Colgate-Palmolive has created a supply chain strategy to impress. If you want to make efficiencies and savings to your supply chain, then Ribble can help. Ribble Restore offers an innovative returns management solution that can help you to find value in returns by improving your reverse logistics process and allowing you to seek profits from reselling products at full value. To find out more about improving your supply chain with Ribble Restore, call the team on 0161 284 9000.